1947 witness more blood than 1857's Sepoy Mutiny had seen. Not because of the war, not since the patriots were martyred; but due to the partition of Pakistan and the anarchy that resulted at India-Pakistan border. Hindus and Sikhs of Pakistan left their home, ancestral lands, and fled for lives. Hindus in the western part of India, now Pakistan wanted to stay with their religion and unfortunately that was least encouraged. Muslims of India had now found their solace in dividing their country for the want of land for themselves. The resultant communal outrage was supernumerary deaths and blood shed all along the borders. 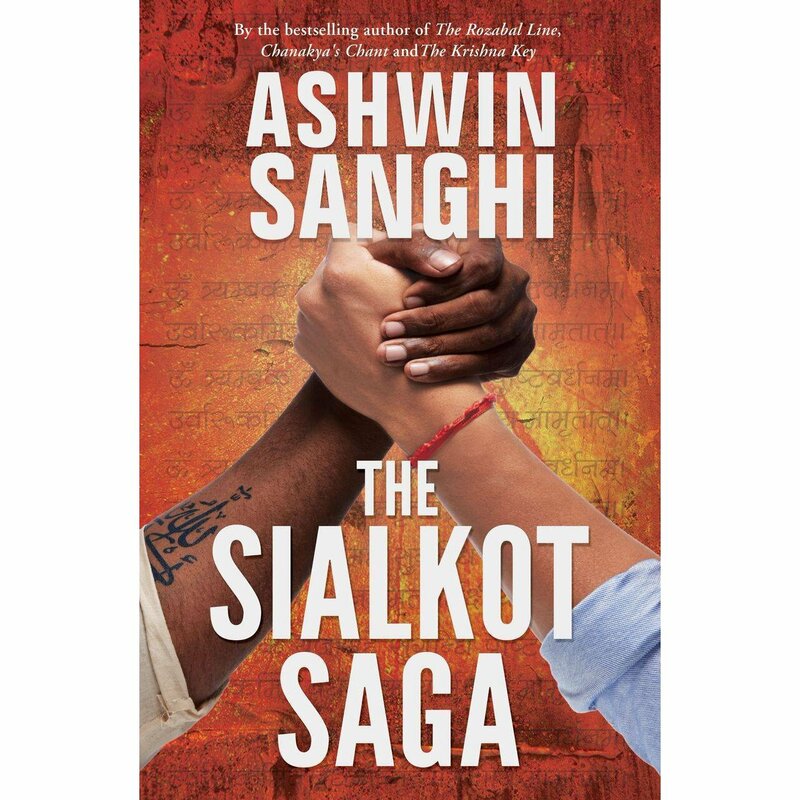 Ashwin Sanghi has woven the story starting from Sialkot and in the backdrop of the changing Indian scenario after independence, till recently. Arbaaz, underworld mafia with his own principles who turns into a respectable businessman, and Arvind, the Marwari businessman who believes in buying and selling businesses and is of dual morality when it comes to business, make it to the list of top 20 richest in India. Sometimes while reading the book, I started feeling that the characters Arbaaz and Arvind are just a means to show the post-Independence scenario of India and its political ups and downs within. Many political changes and the economic growth, along with the great scams of India post-independence are put across in the story, such that the fiction is not lost either. Along with that is the story of Asoka and the nine unknown men, and is randomly spread and time-spaced across the past kingdoms that ruled India. The unresolved mystery of how few kings could assimilate more wealth than their capacity is attempted a possible reasoning. This style of writing is gripping. While the reader would be interested in reading about the lives and shrewdness of Arvind-Arbaaz duo, the reader will also be enlightened about many important turns of events in Independent India. Be it Lal-Bahadur Shastri's death, operation blue star, Indira's death, Bofors scam, Rajiv' death, fodder scam, terror attacks, ups and downs of each elected government are dealt in detail. It is definitely a brush up for the forgotten public memory. The real events are intertwined with the story that Ashwin wants us to read. I personally felt, that the climax of the story was dramatic and a little dampening. But the book is definitely one of the good reads. Sialkot saga book is a knowledge-giving storyteller. Kudos Ashwin Sanghi! ಬಸ್ಸಿನ ಪ್ರಯಾಣ! ಹಿಂದಿನ ಸೀಟಿನವನ ಫೋನ್ ಮಾತು. ಕನ್ವರ್ ಲಾಲ್ ನ ನೆನಪು!!! 5 ಪೈಸೆಯ ಪೆಪ್ಪರ್ಮೆ೦ಟಿನ ಖುಶಿ ೩೦ ರೂಪಾಯಿಯ ಕಿ೦ಡರ್ ಜಾಯ್ ನಲ್ಲೂ ಇಲ್ಲಾ...!!!!!!! !